Scrolling and clicking on Next links through tons of Web pages is not how I want to hunt down an elusive video or photo. Thankfully, there’s Cooliris, a super-handy browser plug-in that lets you scope out images and video content in a unique way, displaying everything in a full-screen, horizontally expanded, interactive 3-D “wall” view. It effectively eliminates the repetitive click-and-scroll tedium so you can find what you’re looking for fast. Once you install the plug-in (which works with Firefox, Safari, and Flock), simply visit any supported Web site and either click the Cooliris button in your browser’s toolbar or mouse over a thumbnail and click the icon. 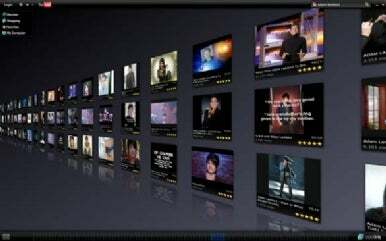 Cooliris then takes over your screen, displaying all the page’s image or video content, plus all related content from subsequent pages, on the 3D wall. 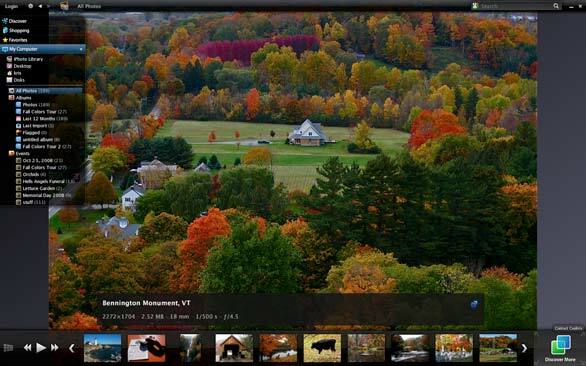 Searching through hundreds of Google images, YouTube videos, and Facebook photos has never been easier. And it works with your hard-drive-based images too, including those in iPhoto. The browsing experience is interesting. Drag the slider at the bottom of the screen left or right and the wall suddenly flows into a 3-D space, yawing left or right as you fly past a multitude of seemingly never-ending thumbnails. It kind of feels as if you’re propelling yourself in an office chair past a gazillion TV displays in a dark, cavernous room with polished floors. I almost got motion sickness--it’s that smooth. Once you find a desired image or video, click its thumbnail to get a bigger view or play the video, respectively. You can also view file info (such as a photo’s file size and dimensions, or a video’s length and YouTube rating), view an image full screen, play a photo slide show, jump to the actual file in the Finder, share files, and more. Cooliris also provides a Search function to scour content across Google, YouTube, Amazon.com, Hulu, Flickr, and more. Don’t know where to start? Click the Discover menu to gain access to popular content. While my first take on Cooliris was that it was something of an eye-candy browser accoutrement, it’s now my go-to tool whenever I need to search through multiple pages of image or video content. My wrist has never been happier.